The fastest way to backup & rip your DVD collections to virtually any format for watching on Mac iPhone iPad and Android, 100% lossless quality. Must-have tool for 4K UHD video processing - convert, edit, download and resize videos with hardware accelerated. The ultimate solution to manage, backup and transfer photos, videos, music, books, etc between iPhone iPad and Mac. No data loss or space woes. Best all-in-one DVD ripper, video converter, online video downloader, screen recorder, video editor and slideshow maker. Top solution to liberate movies from DVD disc and convert DVDs (new/99-title DVDs, damaged DVDs) to MP4, MOV, H.264, etc for a wealth of devices. 1:1 output quality & ultrafast speed. All-in-one Mac video processing tool for 4K UHD video processing - transcode, compress and adjust video file; download online video; capture screen videos and more. Complete iPhone iPad and iPod management solution to easily backup & transfer music, videos, photos, ringtones, books, etc between iPhone iPad and Mac. 100% safe and risk-free. Best choice for you to download online video & music, convert DVD & videos to 200+ format for mainstream devices. Easy, fast and high quality preserved. Discover a great range of special offers from us, including huge savings, BOGO, holiday free gifts, etc. Lowest price ever. Bring you a fantastic selection of discounted pack software. Giving you thorough solutions to backup your DVDs, convert video, download online videos. Easy Backup DVD without any quality loss & brings No.1 fast DVD ripping solution. It empowers you to cut, crop, edit, transcode 4K HD videos, download YouTube, record screen, etc. Best all-in-one DVD and video converter, online video downloader, screen recorder, video editor. This free video downloader to download HD videos from YouTube, Facebook and 300+ sites. It is the combination of MacX DVD Ripper Pro and MacX Video Converter Pro. With this all-in-one package, you can backup DVD movies to Mac, convert DVD/HD videos to iPhone, iPad, iPod, Apple TV with fast speed and high quality, download YouTube videos, capture screen video, record video etc. Bundled with MacX DVD Ripper Pro, MacX Video Converter Pro and iPhone manager. Rip and convert encrypted DVD for playback on iPhone iPad and Android. Convert 4K UHD & HD videos, cut/crop/merge/enhance and edit videos, download YouTube video, record desktop/iOS screen. Backup & transfer data between iPhone and Mac. Combined with Mac iPhone DVD Ripper and MacX iPhone Video Converter, this pack owns the functionality of ripping DVD to iPhone and converting video to iPhone with lossless image quality at high conversion speed. It also converts DVD and video to iPad, iPod, MP4, MOV etc. 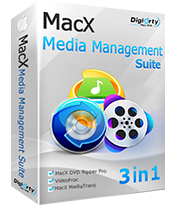 Bundling MacX iPad DVD Ripper and MacX iPad Video Converter into one pack, this software pack will meet your need to convert DVD and videos to MP4, H.264, MPEG-4, MOV for playback on Mac, iPad, iPad Air, iPad Mini with retina display, iPad 2/3/4, QuickTime, Apple TV and more. This pack includes two iPod tools: MacX iPod DVD Ripper and MacX iPod Video Converter, which can rip any DVD to iPod and convert both HD and SD video to iPod on Mac OS with no quality loss. Furthermore, it also features converting DVD or video to MP4, MOV, music etc. 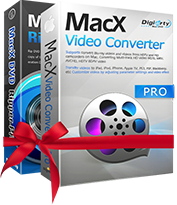 The bundle of MacX iTunes DVD Ripper and MacX iTunes Video Converter pack enables you to convert DVD and any video to iTunes video for playback on iPhone/iPad/iPod/Apple TV on Mac OS. In addition, you can also use the software paack to convert DVD and videos to MOV, M4V, MP4 and MP3.